This information is provided by Vicente De Benedictis of Brazil. 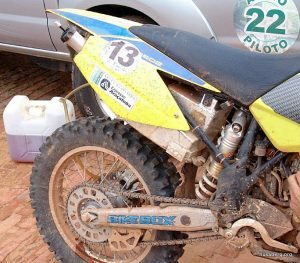 Vicente did the 2007 Rally dos Sertões in Brazil. 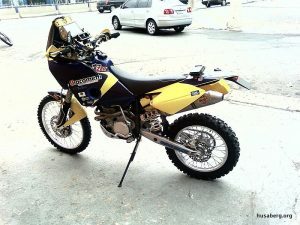 After many months setting up his beautiful Husaberg, he was having a great ride, but was forced out through injury. 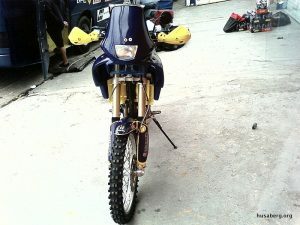 Here’s how he prepared his Husaberg for the Rally. 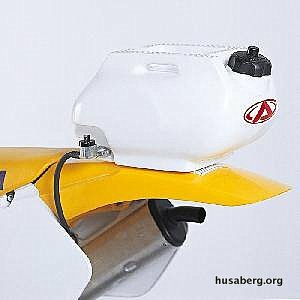 The best aftermarket fuel tank option for the main fuel tank is the BOSS 15 Liter Plastic Fuel Tank because it’s plastic and has a slimmer profile than the Omero. 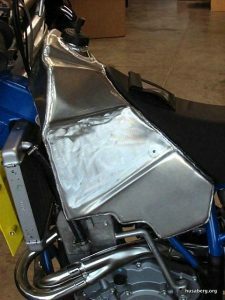 There have been in issues in the past with aluminum fuel tanks, where they sometimes leak at the welds, are hard to fix, and weigh too much. 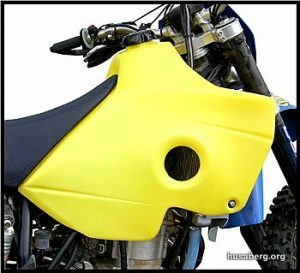 And now problems with gravity begin… the tank petcock must be above the carburetor for free flow, otherwise you’re going to need to install a fuel pump (mechanical or electric). 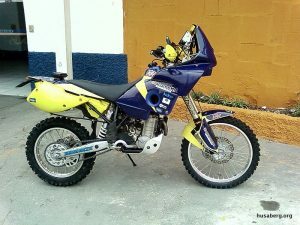 The best option for a mechanical fuel pump is a Mikuni from a Yamaha XT600 or KTM 660 Rally. 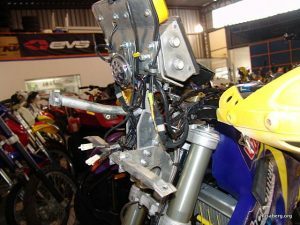 The best electric fuel pump is from a Honda CBR 600. 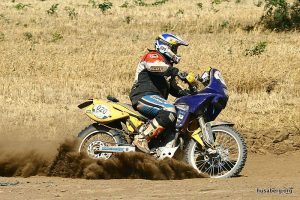 Navigation is mandatory in rally racing, so you can’t get anything wrong. 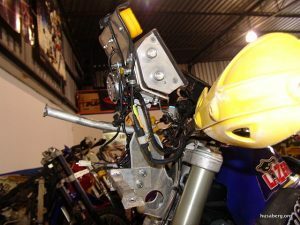 I use a custom navigation bracket fixed to the motorcycle frame, which is lighter and easier to steer and ride the motorcycle. 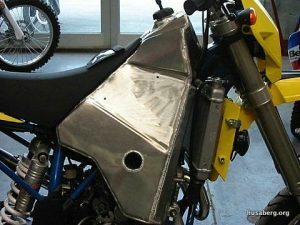 KTM offers a Roadbook carrier, which is fixed at the triple clamp, but it makes motorcycle turning tough to ride. The best Roadbook in the market is MD which costs around 450€. I use a MD Replica Roadbook, and it works fine. 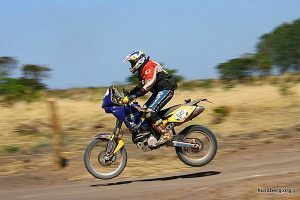 The most important point when buying a Roadbook is electric motor endurance, and knowing how the bearings work with vibration and dust. The ICO Silver stands out as the best, most reliable odometer on the market. You should use two of them in your navigation bracket. And don’t bother with the ICO Red, its not good at all! 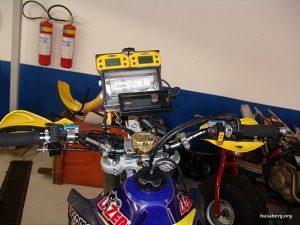 Yes, there are other options, but the most important thing is you need two reliable, easy to use odometers. 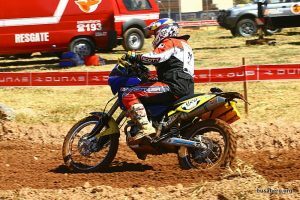 In Brazil, the Garmin GPS is a standard for off-road racing. I like the GPS V or III Plus because it is small, easy to use, and very reliable. You will need an external power supply because it turns off with the vibrations. Fitting duct tape around the batteries works well too. 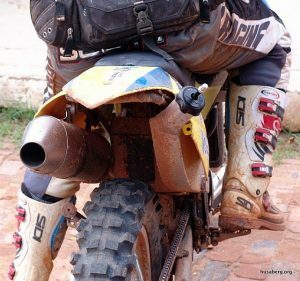 Important: an external GPS antenna is a must! Some racers tried GPS Garmin 276, Legend, and Zumo, but were not successful.